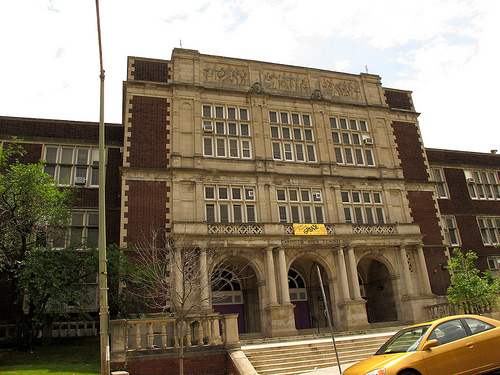 PoPville » Dear PoPville – When will Cardozo High School Construction be Completed? Any word on how much longer the construction at Cardozo High School (1200 Clifton St, NW) is going to take? The neighbors have had to put up with a lot–lost parking and sidewalks, traffic changes, road closures on Clifton, and noise, not to mention the constantly changing rules around “emergency” no-parking signs. For the most part, I think the neighborhood has been tolerant of these annoyances that come with urban living. I just wish I knew when to expect to see the light at the end of the tunnel. Have you heard anything? Council Member Graham says the construction will be completed in August in time for the new school year.